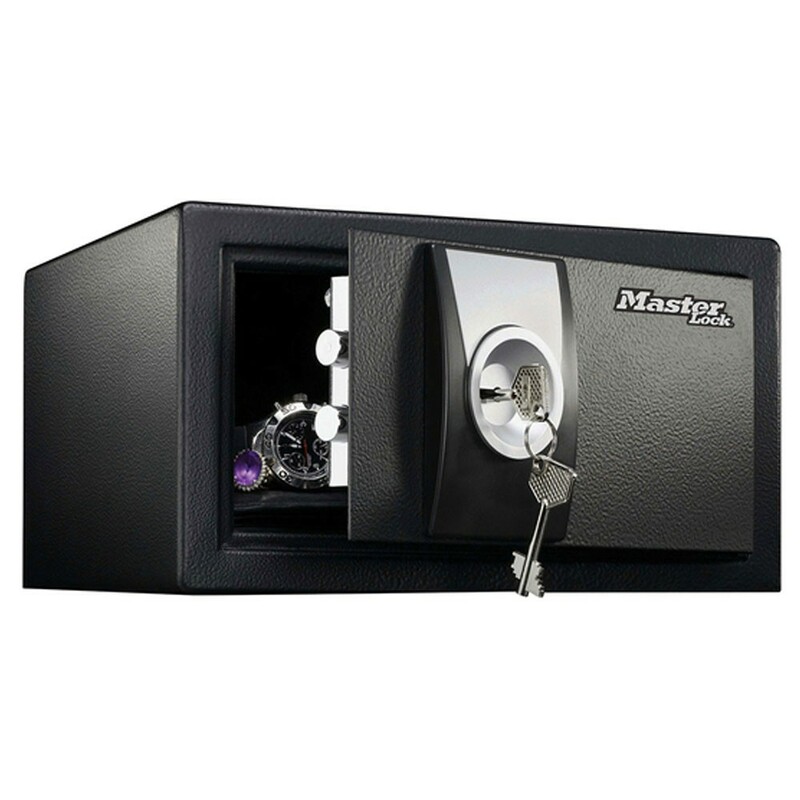 The Master Lock X031 security safe is supplied with a carpeted interior to prevent your valuables from scratches and is secured by 2 live-locking bolts. Ideal for protecting car keys, passports, smart phone and jewellery from burglary and has a recommended cash rating of £1000. It is fitted with a 6 Lever high security key lock which is supplied with 2 keys. The Master Lock X031 security safe has concealed hinges and is supplied with fixing bolts to secure it onto the wall or floor to added security.